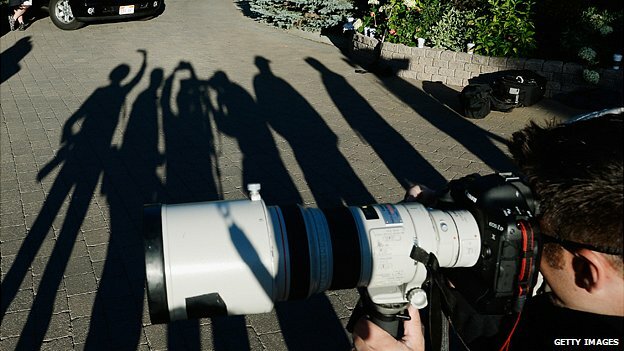 BBC News - Picture this: Is there life after Photoshop? In focus: Adobe Photoshop has dominated the photo editing space - but with a new subscription model is there life after Photoshop for small businesses looking for something more cost-effective? For almost all its 23-year existence, Photoshop has dominated the digital retouching and design world. In the 1990s its popularity exploded thanks to an exceptional array of transformational tools. It was helped along because it was often illegally passed around by friends and easily downloaded from the internet if you knew where to look. The software could be found everywhere from big-budget design studios to student bedsits. Several years ago the chief executive then of Adobe, makers of Photoshop, told me that nine out of 10 images that we see anywhere around us, including those found on food packaging, billboards, catalogues and paint cans, for example, have been processed in Photoshop. No wonder it became a verb too. But in June this year, Photoshop did the unthinkable (although Adobe had been thinking about it for some time). It became subscription-only software, no longer available as a boxed product in retail stores where one price bought unlimited creativity. Now ideas, images and designs can only flow within strict time limits - unless the meter is fed. The new payment structure has led to much debate and discussion among creative professionals. For high-end studios, prices are rarely a problem and they undoubtedly welcome the frequent small updates that Adobe can now incorporate into its software, rather than waiting for an occasional big one. For small business owners and freelances, the choice is not so obvious. Boxed software can be used for years and years at no extra cost. A monthly subscription can end up being a bigger chunk of an already tight budget. 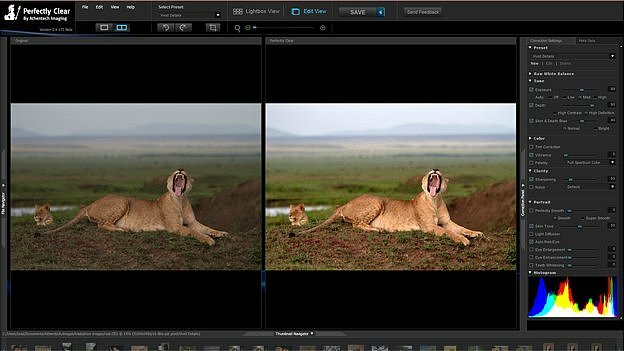 Adobe has moved many of its other legendary software titles to a subscription-based service too, but has left Lightroom, another of its popular photographic tools, alone for now. It still comes in a box and does some of the tricks that Photoshop is well known for, but at a fraction of the price. There are also well-established alternatives, such as Corel's Paintshop Pro and the open source GIMP software, which are also filled with features. Yet if you have been browsing the desktop app stores recently you cannot help but notice a proliferation of newer, more nimble and niche photo manipulation software titles that sell for less than a single month of an Adobe subscription fee. Fotor is free and is claimed to be one of the most downloaded photographic apps globally, offering quick and easy scenes and adjustments. Patricia Tietgens, its spokesperson, says that Fotor appeals to people and companies that do not necessarily make money directly from their images but need a solid editor. "For bloggers and small businesses who want to connect with their users, it simply isn't feasible to exert Photoshop-level effort for one image," she says. "The reality is that by the time they finish editing one image it will not be long before there is a need for another. These conditions challenge even the smallest businesses to supply visual candy regularly in order to compete, and often while operating on a tight budget." Like several photo app makers, Pixelmator has seen its download rates and inquiries escalate since June after Photoshop became subscription-only. Saulius Dailide, co-developer of Pixelmator, believes there is now a rare opening in the photographic design world for greater competition. "Adobe is Photoshop. Everything else at Adobe is less than great in quality or is outdated, with a few exceptions. "I think there is a huge opportunity for developers like us to come up with the next generation of image editing software of all kinds. One thing for sure - it won't be bloatware. 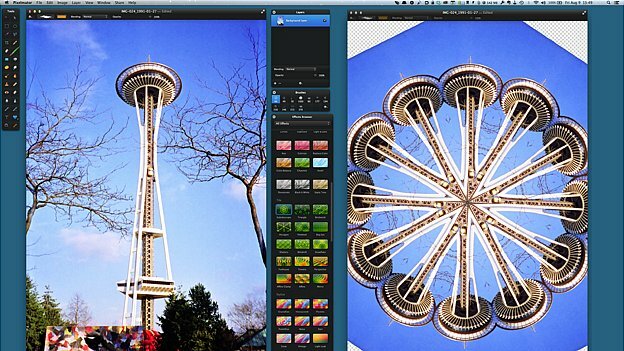 "Surpassing Photoshop in features is easy - it would take two years. The thing is that no one wants another Photoshop with thousands of features. An image editing app without that many features is a tricky thing. That's what we are trying to accomplish with Pixelmator." Simplicity is a theme that has swept across many genres in app stores. Apps that do one thing and one thing well often become big sellers. Fabio Sasso, an experienced designer who has no intention of giving up Photoshop completely, does, however, find himself using apps such as Pixelmator more and more because of its workflow efficiency. "There's a need to have very specific sets of features for specific areas of the industry," he says. "We'll start to see more and more apps with niche functionalities and features to please a particular audience. That will of course allow them to simplify the interface, offering just what is necessary for that audience's needs." There is nothing faster to speed up workflow than a single click. That is what Perfectly Clear, by Athentech Imaging, does. Its combination of multiple corrections with a single press instantly makes even a great photo look less "grey", revealing a more colourful, vibrant result. It has been offered as a software plug-in for years. But this year, for the first time, founder Brad Malcolm is developing a standalone product for Windows (and eventually Mac), called Perfectly Clear Desktop. "The [built-in] Photoshop automatic correction is not very robust and you can't rely on it," he says. "Often it damages your photo, often it makes it worse, often it does nothing when it should do something, and sometimes it does work. [It] uses a traditional histogram equalisation approach to trying to make your photo better. "Perfectly Clear, on the other hand, utilises over 10 years of patented science and over 10 unique and independent corrections." Most developers feel the Adobe decision to offer subscription-only choices was not a tactical mistake, however. Some believe this is the way of the future. Perhaps all basic image editors will be available free one day with advanced tools becoming in-app purchases? 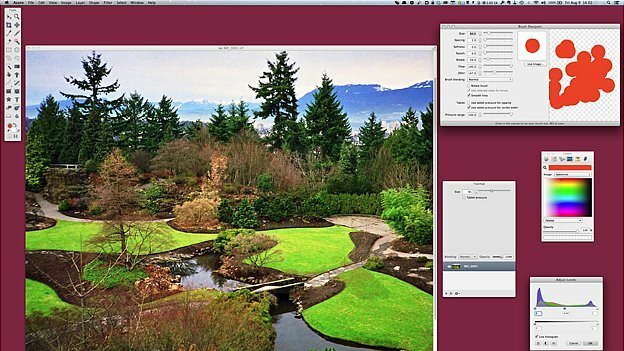 But, like several others in his field, Gus Mueller, the developer of Acorn, says he is not trying to outdo Photoshop. "Adobe is very well established, and I don't think anyone will be dethroning them anytime soon." 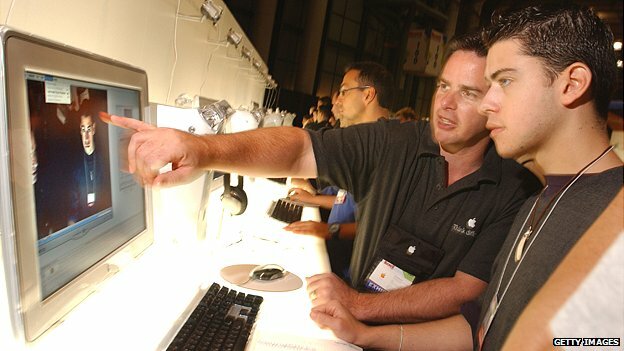 Instead the goal is to create a new marketplace, and bring photo image editing to a level where small businesses and freelances can produce as much high-quality graphical materials as they require, with a minimum amount of skill - while at the same time being mindful of a budget that may not stretch to a monthly outlay for years into the future. The days of dodgy car insurance claims could be numbered as more vehicles are equipped with telematics boxes and sensors that can help insurers weed out fraud. Five star dining or burger joint from hell? Can we predict Oscar winners using data analytics alone? Can technology help us improve reality? Can tech bring lawyers into the 21st Century?